Biscoe Wilson Architect’s design for this modern 3 storey house combines a theatrical progression, with an environmentally sustainable and functional solution. 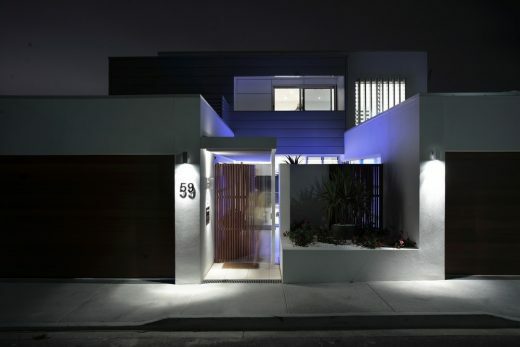 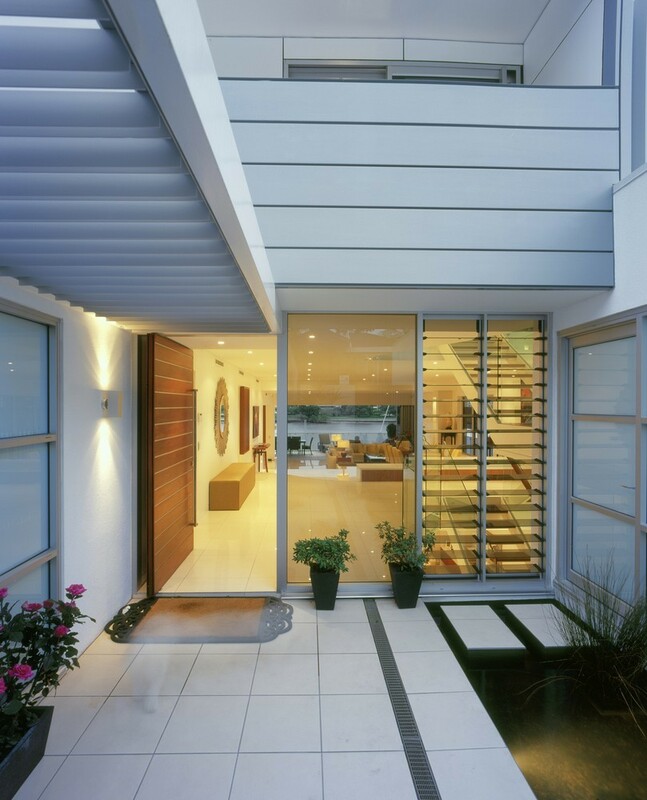 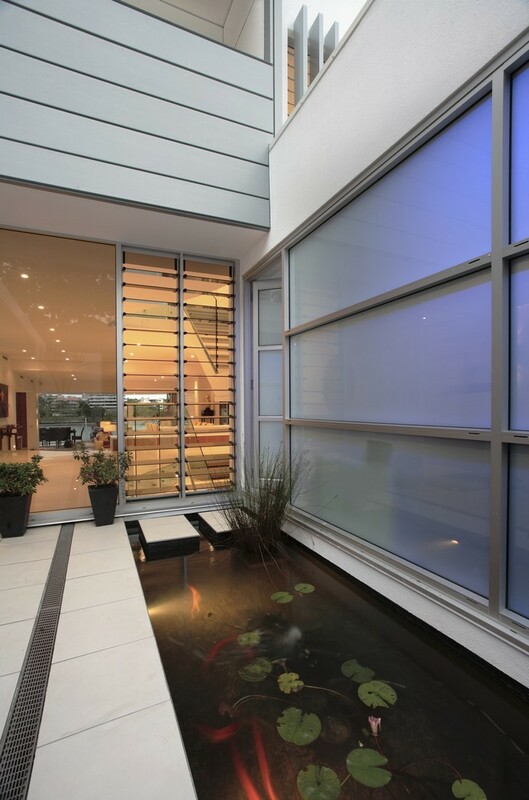 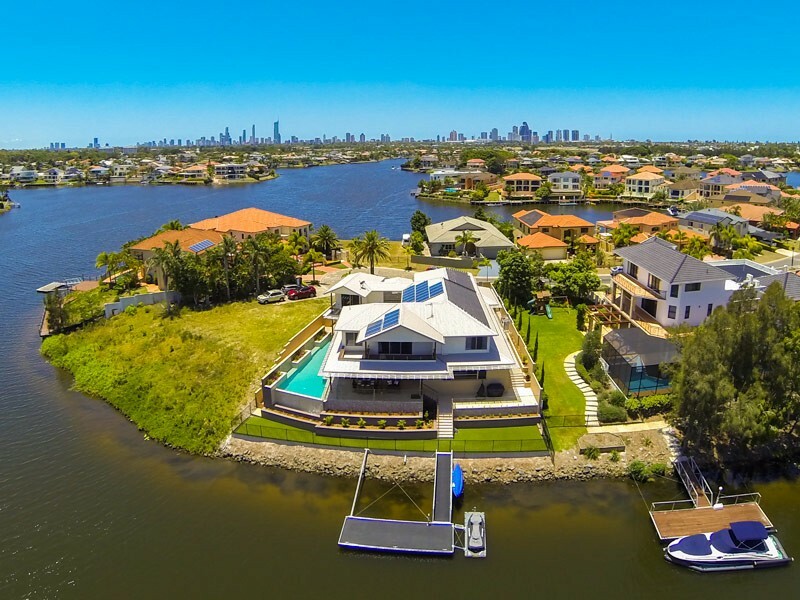 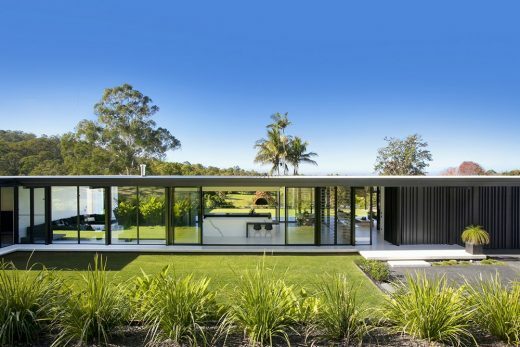 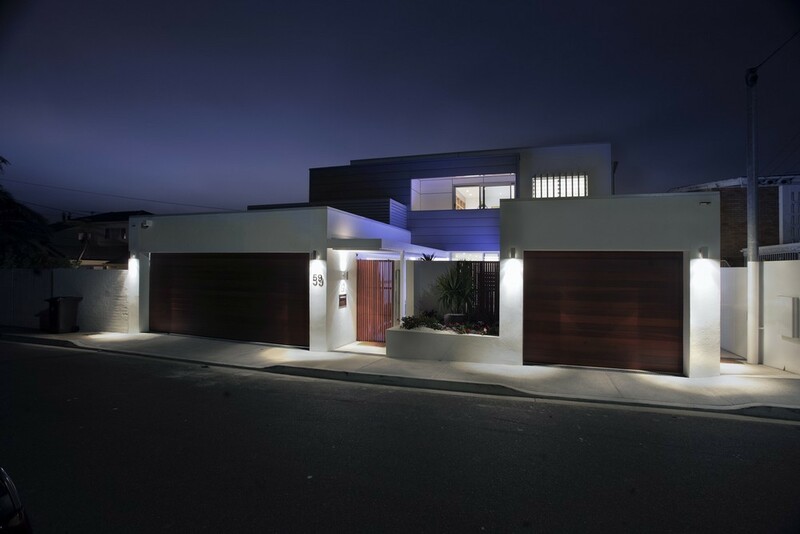 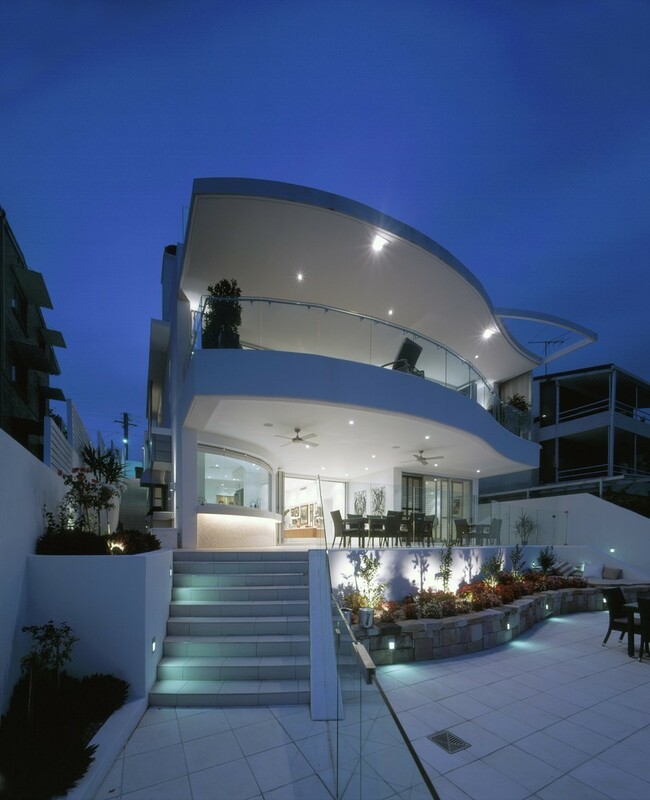 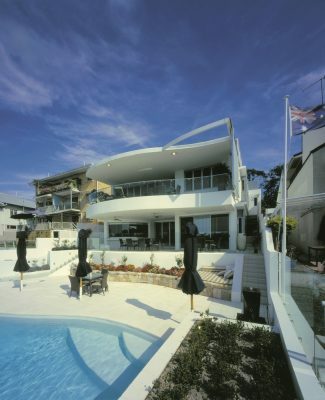 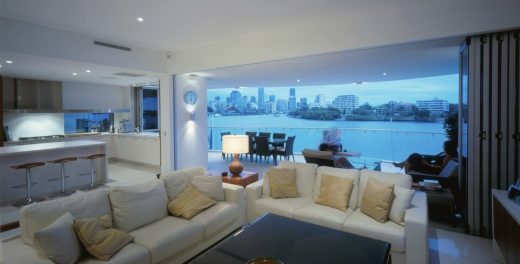 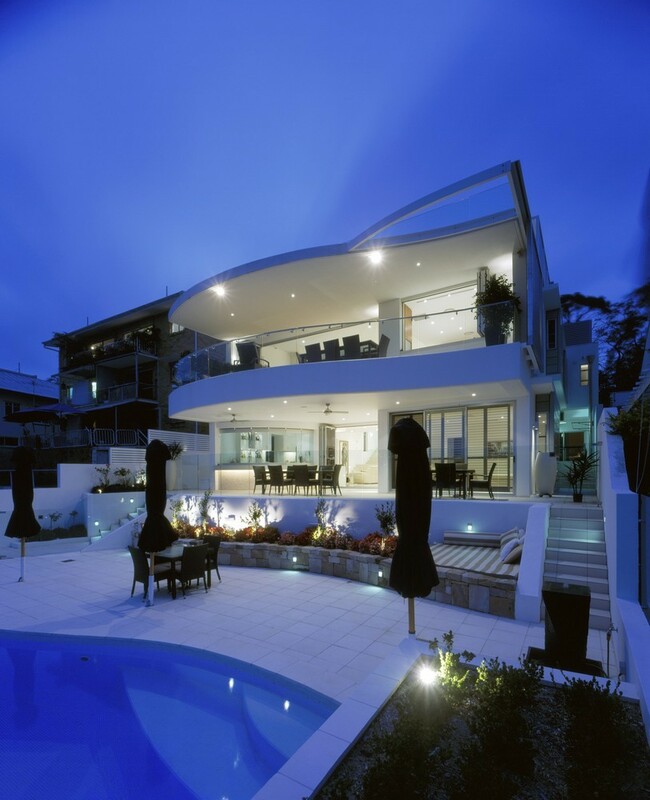 This modernistic house engages with the river by providing wide cantilevered terraces and balconies that relate to the glass fronted swimming pool on the river bank and the views of the Brisbane city and beyond. 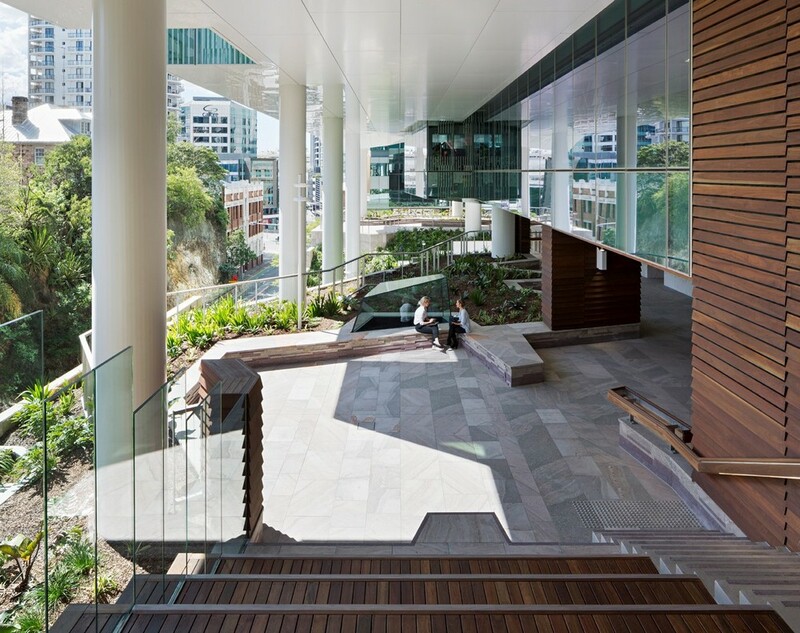 An essential element of the design is the theatrical progression from the street, through the entry court and three-storey stair volume onto the terraces and river. The top level is a private retreat with roof gardens and the central level is the hub of the house. 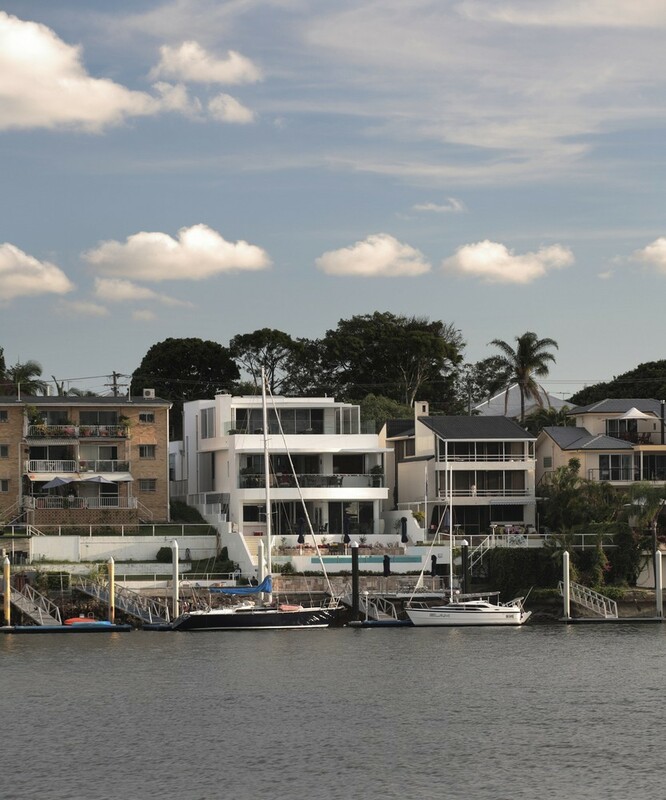 Reinforced concrete, rendered masonry, glass and Rheinzinc have been used to create a robust form that has been sculpted on the north face to create curved balconies that echo the curves of the river. The house revisits the modernist traditions of structure and form servicing the functions required, but with the notion of function extended to include a bit of fun.